Adam W. Purinton, a Navy veteran, who fatally shot and killed Indian software engineer Srinivas Kuchibhotla last year, has been sentenced by to life in prison after he was convicted in March of premeditated first-degree murder. Purinton, 52, will spend the rest of his life in prison, if he is spared of death penalty on hate crime charges, which is pending with federal authorities. The case file says Purinton asked Kuchibhotla and his colleague Alok Madasani their visa status before shooting them. 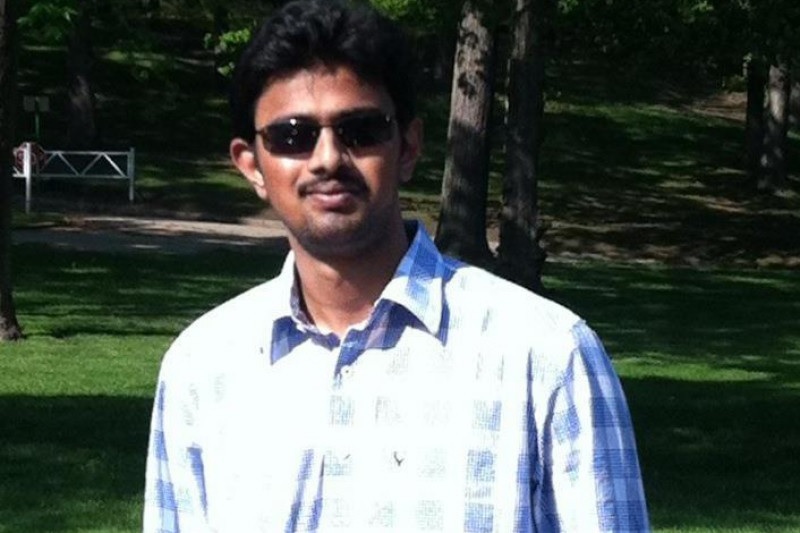 Kuchibhotla, who is from Hyderabad, was working on H-1B visa as an aviation programs engineer at the Kansas-based technology company Garmin International. According to Madasani, who survived the shooting, said Purinton, after an altercation with the two Indians, came back and shot them. A third patron, Ian Grillot, was also wounded as he tried to intervene. Eye-witnesses said Purinton yelled, “Get out of my country!” before opening fire. According to the court documents, Purinton, after shooting the three, fled the scene in his car and drove 70 miles before stopping at a restaurant in the neighboring Missouri, where he confessed the crime to a bartender. The state of Kansas has recognized March 16, 2017 as “Indian American Appreciation Day” to honor Kuchibhotla. Sunayana Dumala, the wife of Kuchibhotla, almost got deported as her legal status to live in the country expired after her husband’s death because she was on his dependent visa. She has created a community organization named “Forever Welcome” with the help of the Intouch Solutions. where she works to show empathy and understanding for people who are immigrants in the United States by bringing their personal journey and contributions to light. Kuchibhotla completed his bachelor’s degree from the Jawaharlal Nehru Technological University in Hyderabad in electrical and electronics engineering in 2005. He earned a master’s degree from the University of Texas El Paso in 2007. At UT, he worked as a teaching assistant and later as a research assistant. Purinton, according to Justice Department, engaged in the violent act primarily because of the race, color, religion and national origin of his victims. According to the statement off Austin’s Bar and Grill employees, Purinton, a regular customer, became an alcoholic after the death of his father, which had affected him physically and mentally for two years. The Johnson County court sentence on Friday doesn’t involve hate crime as it is a federal case, which carries a possible death sentence.